What happens when you change an employee's email address? The email address you find in an employee's Personal tab is the one they would use to log in. So what happens if this is changed to a new email address? The new email address be the one they would now use to log in. 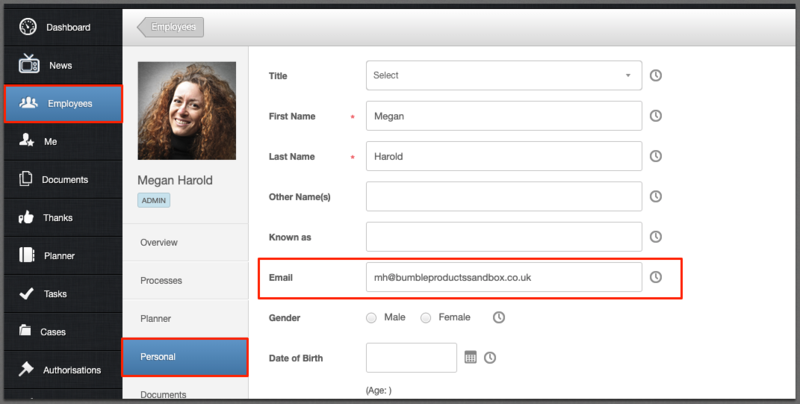 It will receive an email inviting them to the login page - with the subject 'Email Address Changed'. 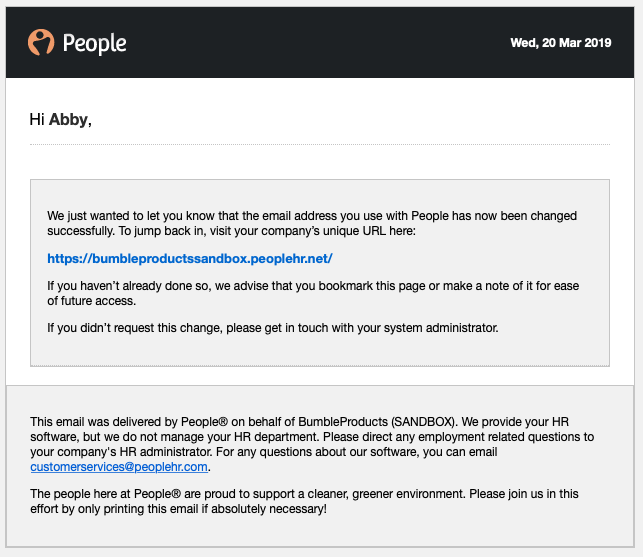 The employee will no longer be able to use the previous email to log in, or receive PeopleHR emails, these will now be directed to the new email address.